Hi. I’m Dr. Kerry Lee, Jr. I am a published Bible scholar, an experienced Bible teacher, and a former Christian bookstore manager. I love the Bible, and I want to help you love it, too. My love for the Bible started when I was child. I remember listening to Bible stories on 33 rpm vinyl records and audio cassettes, reading along in an accompanying book and turning the page when I heard the tone. I started reading very young, and a large portion of my reading material were illustrated Bible storybooks. I was enchanted by the stories of Noah, Samson, David, and Jesus. When I was 11 or 12 was when I started seriously reading the Bible rather than storybooks – an illustrated KJV Bible I had received for memorizing and publicly reciting the 100th Psalm in church. I still have this Bible on my shelf. It was published by World Bible Publishing, and on its cover is an illustration of Jesus surrounded by children. In addition to 16 story illustrations found within the pages of the Bible itself, its front back inside covers featured illustrations of ancient musical instruments and coins, various objects related to ancient Israelite temple worship, and the flora and fauna of the land of Israel. These latter illustrations fascinated me and made me want to know more about the history and culture of the Bible, which were so obviously different from my own way of life. My very first full Bible. This is book wherein I discovered my love for the Bible. Perhaps most important was a preface entitled “A Child’s Introduction to the Bible” written by Charles C. Ryrie. I had no idea who Charles Ryrie was, but I devoured this article over and over as my interest in and knowledge of the Bible grew during my pre-teen and early teen years. Looking back through it now, I cannot help but feel warmly towards Professor Ryrie (whom I now know to be an extremely important dispensationalist Bible scholar with special connection to Dallas Theological Seminary and editor of the Ryrie Study Bible). This man, whom I never had the opportunity to meet and who passed away in the early part of 2016, played no small part in sparking my personal interest in the Bible and in helping me see that anyone can read the Bible, understand it, and love it. During my last two years of high school, I was given the opportunity to learn Koine Greek by my school’s chaplain, Dr. Bill Dickson (who, later on, became Rector of St. Andrew’s Episcopal Church of Fort Worth, TX). The first year, there were three of us who took him up on this offer. The next year, I was the only one, meaning I got a year of daily one-on-one tutoring in Greek from a man who had a PhD in the Septuagint text of the minor Prophets. Who gets that opportunity?! Even then, I could see that this was Providential. My beautiful wife, Lara, on a street in Edinburgh, Scotland. While I majored in music composition as an undergraduate student at Oral Roberts University, I minored in the Old Testament. I learned Hebrew during my freshman year and Aramaic during my senior year from Dr. Donald Vance, author of An Introduction to Classical Hebrew and one of the editors of the recently published Biblia Hebraica Stuttgartensia: A Reader’s Edition. Upon graduation I had two paths in front of me: music composition or biblical studies. After many months of prayer, I felt that God’s will was for me to pursue biblical studies, so I applied and was accepted to Oral Roberts University’s Graduate School of Theology and Missions, where I earned a Master of Arts degree in Biblical Literature with a concentration in advanced languages. It was while I was at ORU that I met and married my wife, Lara. For several years after that, Lara and I worked to build a life for ourselves while I applied to PhD programs. It was during this time that I had two different but ultimately related and important experiences. First, from 2006 to 2009, I served as Christian Education Director at Longview First Assembly (Longview, TX). Second, from 2007-2009, I worked as a Bible and Reference Specialist at LifeWay Christian Store in Tyler, TX. The former responsibility gave me a lot of teaching as well as administration experience, and I got to see first hand the challenges of implementing quality biblical education at the church level. The latter position was extremely valuable, as it was there that I began to acquire expertise in the materials that are commonly available to the average Christian to aid them in their own personal study of the Bible, which are very different from what is available in a seminary library. I also saw the special problems facing the average untrained Christian who wanted to go deeper in their personal Bible study. This knowledge would help me years later when I would go to work for Family Christian Stores. My son, Peter, showing just how super he is. In 2009 one of my applications finally stuck: I was accepted into the PhD program at the University of Edinburgh (Scotland) to study with Professor Hans Barstad, author of (among many other things) The Religious Polemics of Amos, A Brief Guide to the Hebrew Bible, and History and the Hebrew Bible. Very soon after we arrived in Edinburgh, my son, Peter, was born. It has been said, and it is very true, that living in Edinburgh will ruin you for life. No other place I have ever lived comes even close. It does not help that our church in Edinburgh, Buccleuch & Greyfriars Free Church of Scotland, is full of some of the most genuine and loving Christians I have ever met. My research in Edinburgh focused on large-scale narrative conventions, commonly called type-scenes. In particular, I was interested in the way the deaths of blessed characters were narrated and how their narrations were different from those of the deaths of wicked characters. I applied this to the deathbed story of Jacob at the end of Genesis. The end product is a book called The Death of Jacob: Narrative Conventions in Genesis 47.28-50.26. A dry-sounding title, to be sure, but what I show is that careful reading of the final form of this text that is sensitive to the use of conventions, large and small, largely obviates most of the speculative theories of the text’s composition. At least it excites me if no one else. Since returning the USA, I have begun acting as teaching pastor for the Pentecostals of Crosby (Crosby, TX), and I am on the adjunct faculty pool for Fuller Theological Seminary. From August 2014 to August 2016 I worked for Family Christian Store, working my way from part-time sales associate to store manager within the space of one year. While manager of the store in Channelview, TX (southeast Houston area), our store went from being a middling store (as far as chain rank was concerned) to ranking in the top ten of our chain for most of the current fiscal year. The way we achieved that is clear: we focused on people first, metrics second. 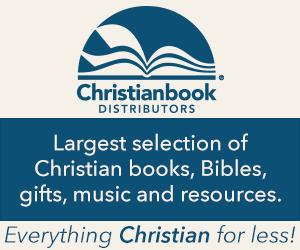 We focused all of our efforts on helping individual Christians find products that fit their particular Bible study needs. When August came around, I sensed God leading me to pursue this effort full time, and this is how Bite-Sized Exegesis came into being. So what does all this mean for you? It means that I know Bible reference materials from every angle: as an author, as a student, as a teacher, and as a retailer. Not a lot of academics have worked in Christian retail, and not a lot of people working in Christian retail have PhDs in biblical studies. I’ve done both, and I want to put this expertise to work for you, your families, and your churches. Hi. I'm Dr. Kerry Lee, Jr. I am a published Bible scholar, an experienced Bible teacher, and a former Christian bookstore manager. I love the Bible, and I want to help you love it, too.